Expect group video calling to hit WhatsApp sometime later this year. Stickers in chat might follow. According to a Tweet sent out a couple of days ago by WEBetaInfo, followers of new features on WhatsApp Beta versions, WhatsApp for iOS version 2.18.52 features group video calling. The tweet also mentions that WhatsApp Beta for Android versions 2.18.145 and later also supports the group video calling feature. Apparently, a few lucky users are getting to enjoy this feature at the moment, and there is no invitation system to try it out. WhatsApp had earlier confirmed that the group video calling feature would be rolling out later this year on the app, and it seems now that it has gone live for beta-testers. 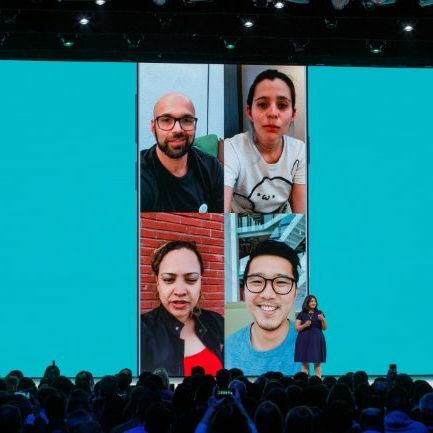 What this means for you is that even if you have the right beta version of WhatsApp on Android or iOS, you may or may not get to use the group video calling feature as it is not available for everyone right now. According to the same WhatsApp feature-watcher, WEBetaInfo, WhatsApp is also planning to release its own line of stickers for the application. Although no such feature has been confirmed by WhatsApp officially, WEBetaInfo has been known to be a reliable source of news and features for WhatsApp in the past. If the company does release the stickers feature on the app, WhatsApp will join the long list of mainstream messaging services like Facebook Messenger, Hangouts, and Telegram that offer numerous packs of themed stickers to emote in a chat. What are the best video players on android?